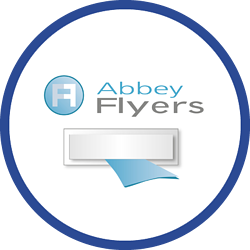 Formed in 2008, Abbey Flyers are an independent door-to-door distribution company. The business works nationwide, running area-specific campaigns through to large-scale national mail-shots. In 2013, Abbey Flyers felt it was necessary to re-evaluate its current tracking solution as it was proving to be inefficient and did not have real-time tracking capabilities. In order to achieve a first-class customer service and decrease complaint rates, Abbey Flyers felt a live tracking solution would be a fundamental improvement for the business; enabling it to provide customers with peace of mind that their leaflets were being distributed correctly. When searching the industry for a tracking solution, Abbey Flyers also realised that it required a solution that had the capability to track their employees outside of their vehicles, when on foot distributing the leaflets from door to door. Abbey Flyers implemented Crystal Ball’s MobileTrack Pro solution in December 2013. With live locations displayed on a detailed mapping system, the mobile tracking application sits on a smartphone and allows administrators to track the locations of employees 24/7 whilst distributing the leaflets from door to door. The web-based tracking portal also offers useful reports such as ‘snail trail’ data which can be used to provide comprehensive audit trails of journey and location history. Since the implementation of MobileTrack Pro, Abbey Flyers can now effectively monitor the distribution of its leaflets and ensure all jobs are being carried out correctly; this has increased workforce productivity noticeably. "Since implementing Crystal Ball I have seen our client base grow"
"I have noticed a significant decrease in customer complaints thanks to MobileTrack Pro."